TEPCO Decommissioning Archive Center in Tomioka, Fukushima Prefecture, will educate the public on the 2011 disaster at the Fukushima No. 1 nuclear power plant and the ongoing decommissioning work. TEPCO Decommissioning Archive Center in Tomioka, Fukushima Prefecture, which opens Nov. 30, will educate the public on the measures being taken to deal with radioactive water at the Fukushima No. 1 nuclear power plant. TEPCO Decommissioning Archive Center shows the central control rooms of the No. 1 and No. 2 reactors when the Fukushima No. 1 nuclear plant was crippled by the 2011 Great East Japan Earthquake and tsunami. FUKUSHIMA, Japan – A facility that exhibits information about the 2011 crisis at Tokyo Electric Power Co.’s Fukushima No. 1 nuclear plant and provides updates about the current condition of decommissioning work opens on Friday in Tomioka, Fukushima Prefecture. The company unveiled the TEPCO Decommissioning Archive Center to media Wednesday. The renovated two-story building, which has an about 1,900 square-meter space for exhibitions, formerly housed the company’s “Energy Museum,” which was used for public relations activities for its nuclear plant. A large screen on the first floor shows video footage of the latest conditions inside the plant, explaining the process of the decommissioning work. A model of a robot designed to remove nuclear fuel debris from the plant is also exhibited. On the second floor, visitors can use an augmented reality device to learn about the 11-day period from when the earthquake struck to the restoration of power. The center also introduces recreated video footage of the central control room of the Nos. 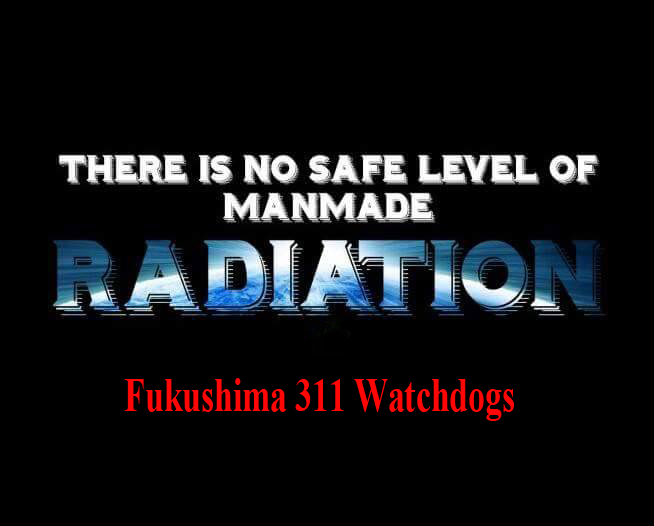 1 and 2 reactors at the time of the accident as well as interviews with five TEPCO employees who dealt with the crisis. TOMIOKA, Fukushima Prefecture–Tokyo Electric Power Co. will open a center here on Nov. 30 to educate the public about the 2011 nuclear disaster and the ongoing decommissioning process in a facility that formerly promoted nuclear power. The company said TEPCO Decommissioning Archive Center is also meant for its own employees. TEPCO renovated the two-story building of about 1,900 square meters, which formerly served as a public relations facility for nuclear power before closing after the nuclear accident. The center will feature exhibitions in two parts, based on the disaster at the Fukushima No. 1 plant, which was crippled by the Great East Japan Earthquake and tsunami in March 2011. The first floor is themed on the status of the current decommissioning work. It has 11 sections, including an exhibition of the equipment that workers wear, and introduces measures to deal with contaminated water at the plant using projection mapping, which projects images onto models. “We want visitors to understand the decommissioning process, if even just a little bit,” said Yasushi Shimazu, director of the center. The second floor, which has 10 sections, shows the memories and lessons from the disaster. It includes sections showing images of the central control rooms at the No. 1 and No. 2 reactors at the Fukushima No. 1 plant and explanations of the events that unfolded over the 11 days between the quake and restoration of power to the plant through use of augmented reality technology. In the first-floor theater hall, visitors can watch an eight-minute video introducing the Great East Japan Earthquake and tsunami, the nuclear disaster and TEPCO’s responses. It ends with the apology for having placed too much faith in the safety of nuclear power. The center, which is located along National Road No. 6 between the Fukushima No. 1 and No. 2 nuclear plants, is expected to welcome 20,000 visitors a year. Admission is free. It is open daily between 9:30 a.m. to 4:30 p.m. and is closed on the third Sundays of the month and for the year-end and New Year holidays. TEPCO educational facility opens in Fukushima Pref. FUKUSHIMA — A facility that exhibits information about the 2011 crisis at Tokyo Electric Power Co.’s Fukushima No. 1 nuclear plant and provides updates about the current condition of decommissioning work opens on Friday in Tomioka, Fukushima Prefecture. The Japanese government has lifted evacuation orders for zones it had designated as “areas to which evacuation orders are ready to be lifted” and “areas in which residents are not permitted to live” as a result of the Tokyo Electric Power Company (TEPCO) Fukushima Daiichi nuclear accident. The orders were lifted in Iitate, Namie and the Yamakiya district of Kawamata on March 31 and in Tomioka on April 1. Evacuation orders for “areas where it is expected that residents will face difficulties in returning for a long time” (or, more briefly, “difficult-to-return zones”) remain in place. The evacuation orders originally affected a total of 12 municipalities, but had been lifted for six of those as of last year. The latest rescission of orders has brought the ratio of refugees allowed to return to their homes to about 70%, with the area still under evacuation orders reduced to about 30% of its original size. TEPCO intends to cut off compensation to these refugees, with a target date of March 2018, roughly a year after the evacuation orders were lifted. Additionally, the provision of free housing to “voluntary evacuees,” who evacuated from areas not under evacuation orders, was discontinued at the end of March 2017. The number of people forced to abandon their homes due to the Fukushima nuclear accident reached a peak of 164,865 people in May 2012, when they had no choice but to evacuate. Now, even six years later, 79,446 evacuees (as of February 2017) continue to lead difficult lives as refugees. In the six municipalities for which the evacuation orders were lifted last year, the repatriation of residents has not proceeded well. Repatriation ratios compared to the pre-disaster population have been about 50 to 60% for Hirono and Tamura, about 20% for Kawauchi, and not even 10% for Naraha, Katsurao and the Odaka district of Minamisoma, where radiation doses were high (see Table 1). The number of evacuees affected by the current lifting of evacuation orders for the four municipalities is 32,169. The ratio of positive responses to a residents’ opinion survey conducted by the Reconstruction Agency from last year to this year saying they would like to be repatriated was rather low, with about 30 to 40% for Iitate and Kawamata, and less than 20% for Namie and Tomioka. During the long course of their evacuation, spanning six years, many of the residents had already built foundations for their lives in the places to which they had evacuated. A total of 15,356 evacuees (as of the end of 2016) are affected by the rescission of evacuation orders for Namie, amounting to about 80% of the town’s residents. Results of an opinion survey published by the Reconstruction Agency in November showed 17.5% of the residents saying they wanted to return to Namie. Most replied that they did not want to return or that they could not return yet. A temporary shopping center named “Machi Nami Marushe” has been newly opened next to the main Namie Town Office building, where the evacuation orders have been lifted. The rail service on the Joban Line to JR Namie Station was restored when the orders were lifted. In the area around Namie Station and the shopping center in front of it, houses and buildings are being demolished and decontamination and road repair work are proceeding at a high pitch. Meanwhile, Namie’s residents say their houses have been made uninhabitable by damage from various wild animals, including boars, raccoon dogs, palm civets, raccoons, martens and monkeys. Many houses have been ruined, necessitating their demolition. A total of 9,601 evacuees (as of January 1, 2017) are affected by the rescission of evacuation orders for Tomioka, about 70% of the town’s residents. Results of a residents’ opinion survey show no more than 16% of them wishing to return to the town. Last November, a commercial zone called “Sakura Mall Tomioka” was established along National Route 6. A supermarket and drug store opened for business there at the end of March. Nearby is the “Energy Hall”—TEPCO’s nuclear power PR facilities. Right next door to that, housing is being built for reconstruction workers, consisting of 50 detached houses and 140 apartment complex units. There are plans to relocate JR Tomioka Station to a position near these. The town will play a role as a “forward base for reactor decommissioning.” The Japan Atomic Energy Agency (JAEA) is promoting the construction of an international research center for the International Research Institute for Nuclear Decommissioning (IRID), scheduled for completion by the end of March. It will carry out research on human resource development and methods for the disposal of radioactive wastes. These facilities are not meant for returning residents. Instead, they are being promoted as part of plans for a new “workers’ town” and will have decontamination and decommissioning workers move in as new residents along with decommissioning researchers. On the other hand, the “difficult-to-return zones” of about 8 km2, including the Yonomori district, famous for its cherry tree tunnel that used to be lit up at night, will remain under evacuation orders. At a residents’ briefing, people expressed worries about matters like having to see the barricades to those zones on a daily basis. The village of Iitate, located about 40 km northwest of the Fukushima Daiichi Nuclear Power Station, is making a massive decontamination effort across its entire area, including agricultural fields, to prepare for repatriation of its residents. About 2.35 million large flexible container bags into which contaminated waste is stuffed are stacked in temporary storage areas, accounting for about 30% of the total 7.53 million bags overall in the special decontamination area (for decontamination directly implemented by the national government). Prior to rescission of the evacuation orders, Iitate Mayor Norio Kanno made the controversial remark, “We will honor support from residents who repatriate to the village.” This brought an angry response from the residents, declaring that they were adamantly opposed to an attitude of treating those not returning as non-residents. The village’s position on repatriation is that it should be up to the judgement of the villagers themselves. On December 26, 2011, Japan’s government determined three conditions needed to be fulfilled before evacuation orders could be lifted. These were (1) certainty that the accumulative annual dose at the estimated air dose rate would be 20 mSv or less, (2) that infrastructure and everyday services had been restored and decontamination work had proceeded sufficiently, especially in environments where children would be active, and (3) that there had been sufficient consultation with the prefecture, municipalities and residents. In May 2015, the government decided on a target of March 2017 for lifting the evacuation orders for all but the “difficult-to-return zones.” They proceeded with the decontamination work and provision of infrastructure for the residents’ return, but gaining consent was a hopeless cause. Trial calculations of the radiation doses received by individuals staying in Namie and Tomioka to conduct preparatory work were published prior to the rescission of evacuation orders for those towns, showing annual doses of 1.54 mSv for Namie and 1.52 mSv for Tomioka. These are below the government’s standard of 20 mSv a year (3.8 μSv per hour)* for lifting evacuation orders, but both exceed the annual limit for public exposure. They are not conditions ensuring “safety and security” as the government says. Prior to the earthquake and tsunami disaster, the Odaka district of Minamisoma, where the evacuation orders were lifted last July, had six supermarkets, two home centers, six fish shops and three drugstores. All of those, however, were lost in the disaster. At last, after the evacuation orders were lifted, two convenience stores opened, but they are far from the residential area near JR Odaka Station, and cannot be reached on foot. A clinic reopened, but since there is no pharmacy, there is no way for patients to buy prescribed medicines. Repatriated residents have to travel for about 20 minutes by car to the adjacent Haramachi district about 10 kilometers away to supplement their shopping and other necessities. Residents without cars, such as the elderly, have difficulty living there. They say, “Nobody wants to reopen the stores because it is obvious that they’ll run at a loss.” A vicious cycle continues, with stores unable to open because the residents who would be their customers are not returning. Requirement 3: Spurn Residents’ Wishes Almost none of the residents attending the residents’ briefings have been in favor of lifting the evacuation orders. Nine or more out of 10 have expressed opposition. They are always given the same canned explanation, with the national and municipal governments brazenly and unilaterally insisting on lifting the orders. A multitude of residents expressed a litany of angry opinions, such as, “If the government says it is safe, they ought to send some of their officials to live here first,” “Say we come back, but if we are going to live next to where dangerous decommissioning work is going on, are they still going to cut off our compensation?” and “The government and town officials say they are striving for the safety and security of the residents, but we can’t trust them at all.” Following this briefing, though, on February 27, the town of Namie accepted the national government’s policy of lifting the evacuation orders, formally deciding on the end of March as the date for rescission. They pooh-poohed the views of many of the town’s residents opposed to lifting of the orders. Conclusion In a Cabinet Decision on December 20, 2016, the Japanese government adopted a “Policy for Accelerating Fukushima’s Reconstruction.” This policy promotes the preparation of “reconstruction bases” in parts of the “difficult-to-return zones” and the use of government funds for decontamination toward a target of lifting the evacuation orders for these areas in five years and urging repatriation. “Difficult-to-return zones” span the seven municipalities of Futaba, Okuma, Tomioka, Namie, Iitate, Katsurao and Minamisoma. By area, they account for 62% of Okuma and 96% of Futaba. The affected population numbers about 24,000 people. The government’s repatriation policy, however, is resulting in bankruptcies. Rather than repatriation, they should be promoting a “policy of evacuation” in consideration of current conditions. Policies should be immediately implemented to provide economic, social and health support to the evacuees, enabling them to live healthy, civilized lives, regardless of whether they choose to repatriate or continue their evacuation. * This calculation is based on a government approved formula which assumes that people will be exposed to 3.8 μSv per hour only for 8 hours per day when they are outside the house. It is assumed that they will be indoors for 16 hours per day and the screening effect will reduce the exposure rate to 1.52 μSv per hour. On a yearly basis, this calculates to slightly less than 20 mSv per year. “Half-life in Fukushima” is a documentary feature in competition at the 60th San Francisco International Film Festival. It represents a Switzerland and France collaboration, with co-directors Mark Olexa and Francesca Scalisi at the helm. While the production represents a European origin, the subject matter had gained world-wide attention no less than Chernobyl in 1986. The 2011 Tōhoku earthquake and tsunami in Japan directly set off the Fukushima Nuclear Plant disaster. The town surrounding the Plant was evacuated due to radioactive fallout. Filmmakers Olexa and Scalisi entered the Fukushima red zone five years later and documented a resident still living there, a farmer named Naoto Matsumura. How Naoto was given permission to stay there is not explained in the film. Actually, Naoto was not alone. He remains in Fukushima with his elderly father, the two striving on a life of self-sufficiency. There is no water from the tap, and radioactive fallouts render everything poisonous, including the mushrooms Naoto had been picking for years in the forest at the back of his home. Only the boisterous ocean remains a powerful reminder of what life was like before disaster hit. The directors capture their subject with quiet sensitivity and empathy. At first devastated by the loss of everything, but now five years later Naoto is resigned to accept a solitary existence in the ghost town. There are nuclear cleanup crews still working during the day, but all in protective suits and masks. We see Naoto wearing ordinary clothes, feeding his cattle, wandering the streets alone, reminiscing by the ocean, or going into the forest just to look at the trees. In the opening shot, we see the definition of the term “half-life”. It refers to the time it takes for one-half of the atoms of a radioactive material to disintegrate. It is also an apt metaphor describing the remnants of a life in Naoto. In many scenes, a stationary camera allows us to experience Naoto’s coming and going in real time. One of such moments is when the camera stays with Naoto from a distance as he stops his truck at an intersection when the traffic lights turn red. We stop with him, the scene motionless and silent for about a minute until the green lights come on. Such a vicarious moment into a life on hold is eerily poignant. One might be surprised to see traffic lights still function and Naoto still obeys them when he is the only one driving in town. It is heart-wrenching to see one man try to maintain normalcy despite all loss, attempting to carve out a life in the midst of desolation. What more, we see Naoto playing a round of golf in an abandoned driving range and singing Karaoke on his own. The film ends with this scene. We hear Naoto sing a song of lost love, a life he can never go back to. After that, we hear the ocean roar as the screen fades to black.